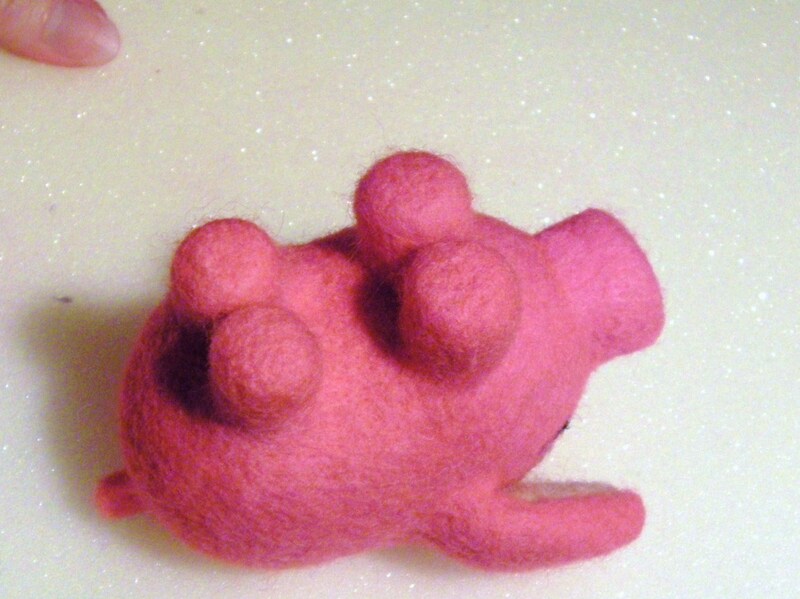 ← Children Can Needle Felt Too! 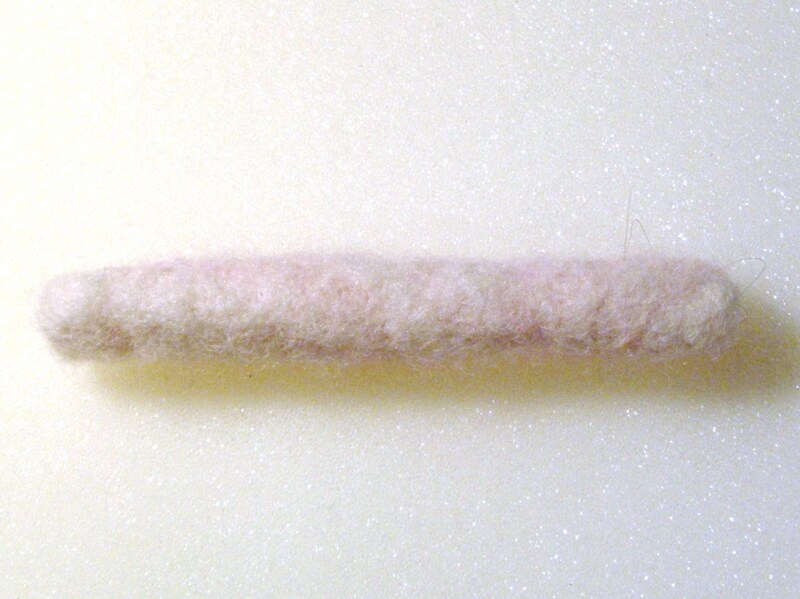 When I first started needle felting, making felted legs that were the same shape and size was a daunting task. Today, I will share a little trick that can make this much easier. This trick will work really well for very basic stump like legs. 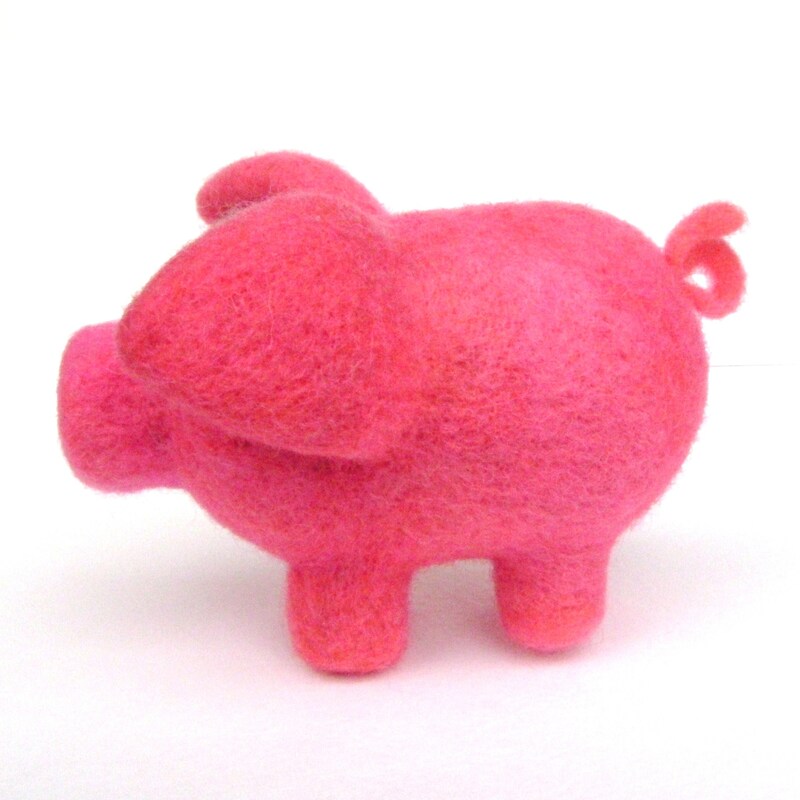 Which is perfectly demonstrated with the adorable felted pig below. First thing you need to do is felt a long snake-like piece. Make this piece the length of your desired leg times 4. This felted snake should be very dense and the circumference should be even down its length. You can use any color wool for this; as it will be covered completely in future steps! 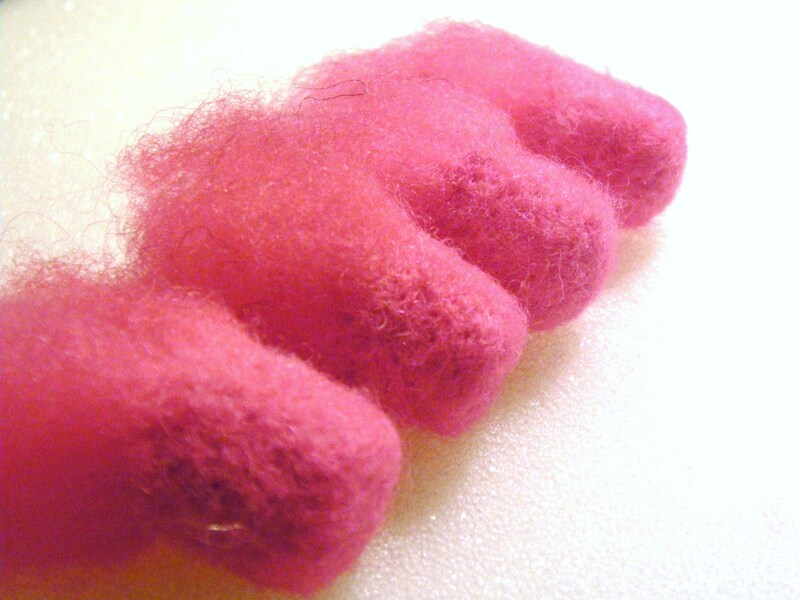 I am going to be making four felted legs! Once you have your felted snake piece, now you need to grab out a pair of scissors and cut it straight in half. Now cut each of the halves in half again. You should now have 4 felted cylinders. I trimmed up the edges to get them evenly sized. Next grab the color of wool batting or roving that you would like your finished felted legs to be. Set a cylinder in the center of a tuft of this color and wrap the wool around it.Next felt the color neatly onto the core cylinder and be sure to leave one end loose and unfinished. You will need this bit to attach the leg to your felted toy. You should do this for each cylinder. Now I have four cylinders and you do too! The last step is attaching the legs to your toy figure. You simply spread out the unfelted end and place it on your felted body and felt the loose ends into place. For extra stability you should go at a slight angle through the leg and towards the center of the leg. Be careful not to break your needle. 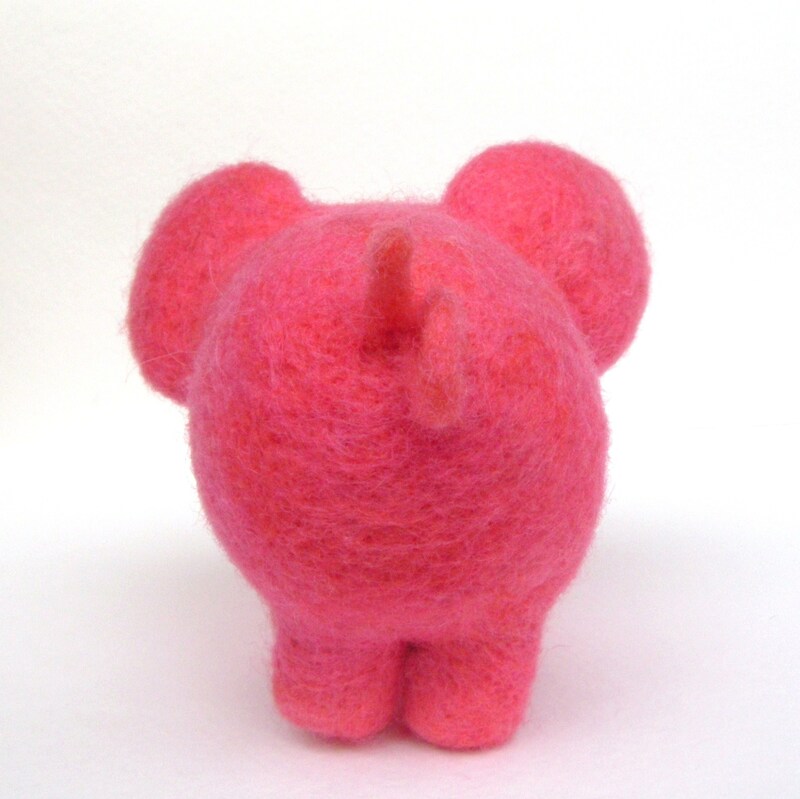 If attaching legs is still confusing, check out my previous post on attaching felted limbs! We are now all done. This cylinder method helps create similar sized blunt legs. It is a great little shortcut that can help you prevent making 7 legs instead of the 4 you really need! The pig stands up quite nicely on those densely felted little stumps. 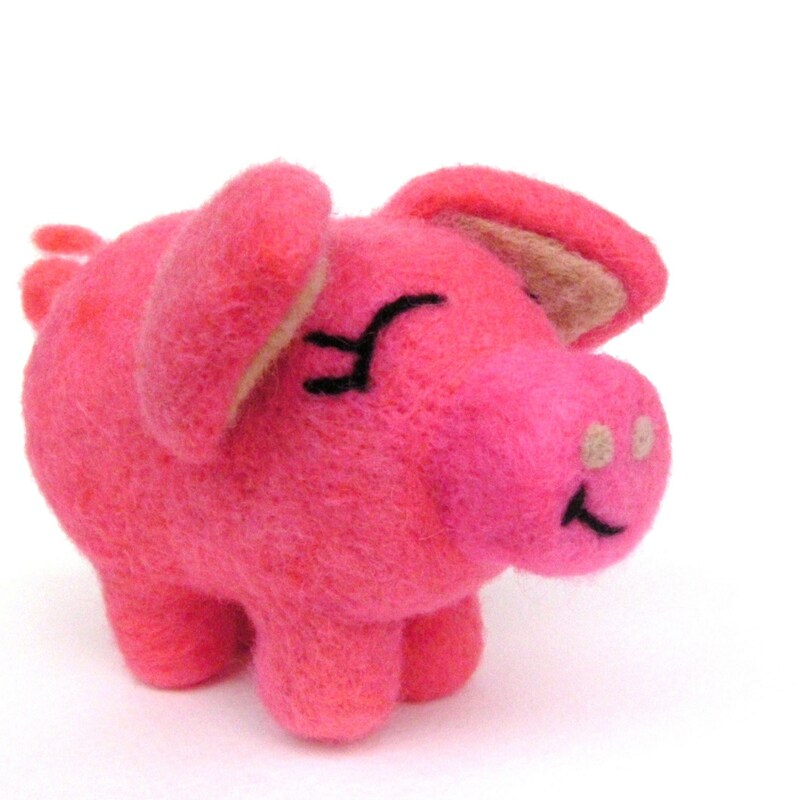 This little pig is indeed bright pink! The tutorial pictures had very inadequate lighting. The first and last pictures are much more true to color. The end.